Today is our last day in the fantastic MASSIVE Christmas giveaway so I thought I would offer you one of my books. You can choose any book you like from my list of books – to enter simply comment on this post saying which of my books you have most enjoyed reading and which one you would like to read next and then I will send it to you 🙂 You can still enter if you haven’t read any of my books but those that have will be entered twice. Other giveaway rules still apply too. 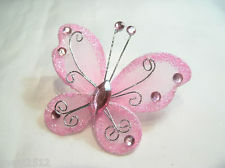 Buy any book from our shop and get a pack of five butterflies. To claim your free butterflies, post a photo of you smiling with your book on our Facebook page and I will send you the butterflies as a thank you. I'm interested in the church planting story! Hello from Thursdays Favorite Things. I haven't read your books yet. Abundant Life sounds like a great read.